Safed Klezmer Festival is one of a kind. For three nights, streets of Safed turn into joyful pedestrian-only streets full of free concerts and street markets. This year, the Safed Klezmer Festival is celebrating its 29th year and there are many interesting stories around the festival. Following the festival, there will be a week-long master class event. And if you’re already in Safed – arrive early or stay the night – there’ plenty to see and do in Safed! 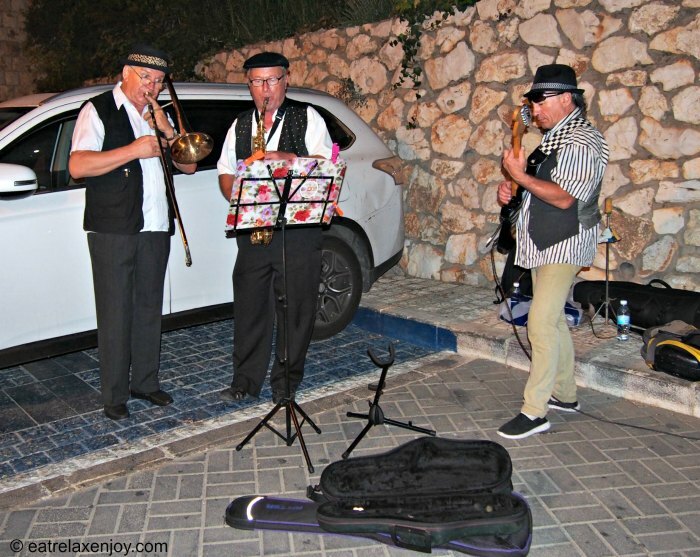 The Klezmer Festival in Safed was initiated to revive the Yiddish language and the Jewish Klezmer music that were almost extinct in the holocaust. The festival offers many styles: Karlibach, Western European, Violin, and Clarinet – all the styles and instruments. All this takes place in a three days of free concerts supported by the Israeli government and Safed municipality. After the festival, that took place last week, an event of International master classes will take place this week. Among the international musicians in the master class will be: Merlin Shepherd (Clarinet) UK, Polina Shepherd (Singing) UK, and Cookie Segelstein (Violin/Viola) USA. At the end of the event, a concluding concert, featuring the master class participants (100 musicians), will take place on August 25. Entry is free of charge! For more details read: International Master Classes 2016. We arrived to Safed at midday, straight to lunch at the historical Ruth Rimonin Safed hotel where we enjoyed the mountain air and Safed breeze! We met the organizers of the festival and Eyal Shiloach, who was tutored by Isaac Stern and Michael Terry in the USA. Eyal recently moved to Safed to teach the children of Safed and manages the morning schools program. For a first ‘tasting’ of the festival, he played to us together with International musicians who arrived to Safed for the festival. There’s a story behind the violin that Eyal played on, which I will soon tell you. 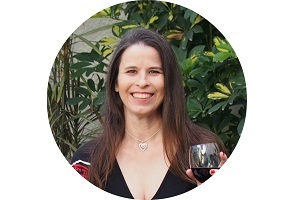 But fisrt, I will recommend to you – come to Safed, and not only for the festival! 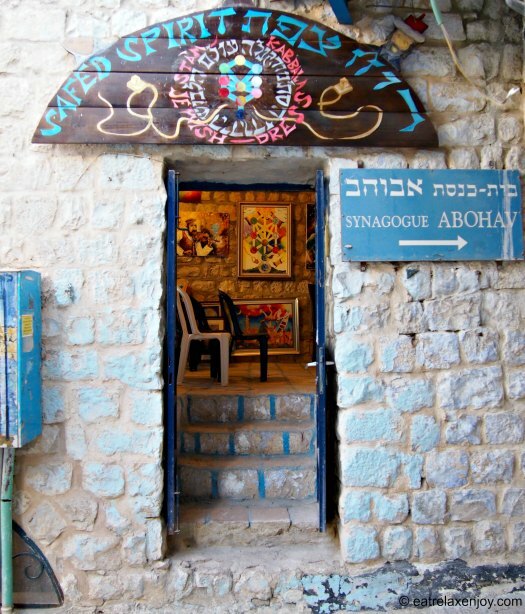 There’s so much to see here, beyond the synagogues and the market, there’s an active artist village, a winery, a dairy, and many other attractions you can read about in my article: A tour of Safed. We walked in the old city of safed the whole afternoon and visited galleries, a winery, a dairy, and old houses. The opening event on August 15th featured some very good performances. One of the touching moments was when Ofer Mendelovich told us about his son Oz. Oz was a gifted violist who was killed in the Gaza war two years ago. The family did not touch his belongings since then, including his violin. 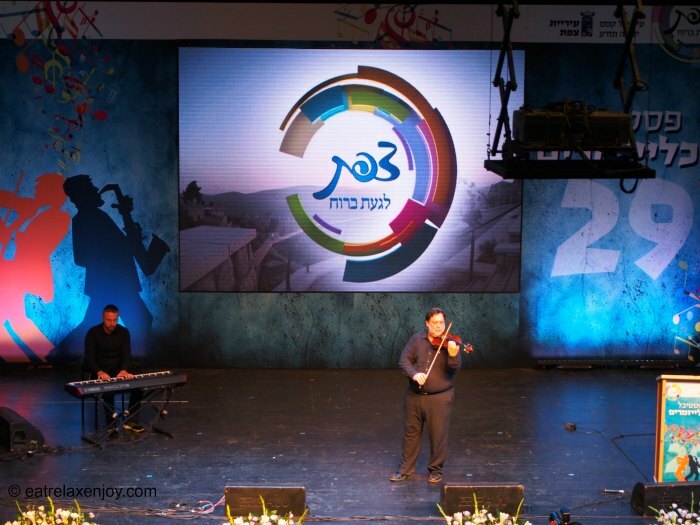 With the family’s permission, Eyal Shiloach took the violin, refurbished it, and played on it the whole festival. To bring back the sounds that Oz used to make, Eyal played in the opening event “Yiddishe Mame”, a song that Oz played two weeks before he died in the memorial of his grandfather. This was a very sad and touching moment. 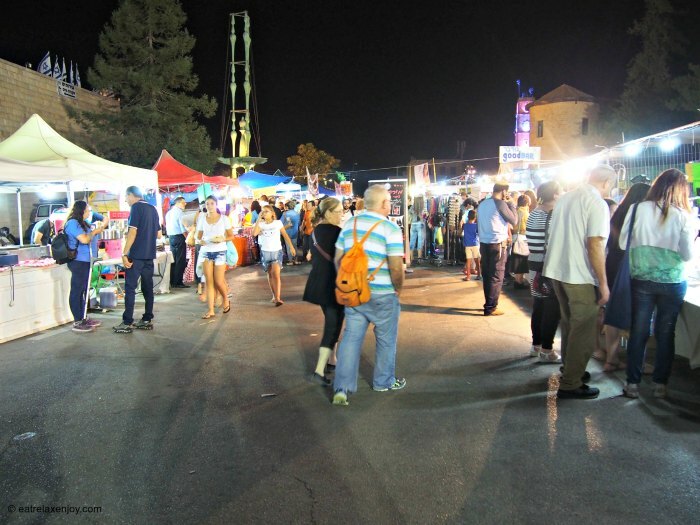 In the festival, the city of Safed turns into a night town, the streets are packed with people and a busy night market with food and souvenirs is open (very good prices!). Here’s a peek at one of the central shows of the festival. During the festival there are many steet artists, even in the parking lot. You’ll also notice small children playing – this is their way of participating in the festival until they grow old enough to join the concerts.